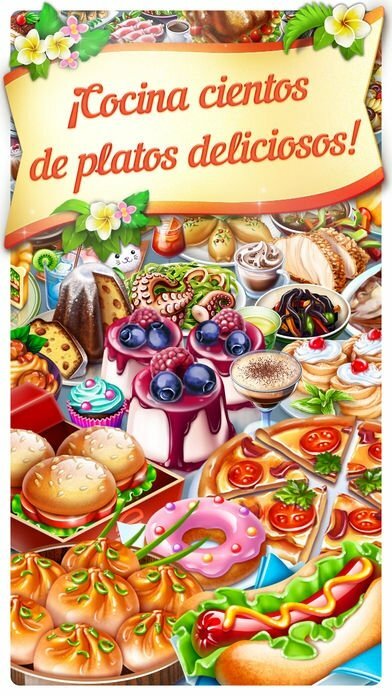 Within the business management or tycoon games, those that involve running restaurants, cafeterias, and catering business, in general, are quite popular amongst users. 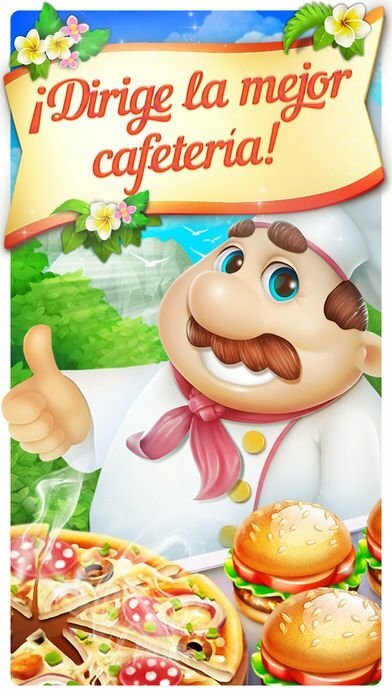 And here's another one, Happy Cafe, that's all about building your cafeteria from scratch and expanding your business. For such purpose, you'll have to fulfill your goals that will gradually lead you to learn new cooking recipes from different parts of the world (USA, Japan, Italy...) and to grow your own ingredients. Here you'll become a fan of eco-friendly products and that's why you've got your own ecological farm where you can grow cereals, vegetables, and fruit. And as you grow and expand your restaurant with new improvements and tools for your kitchen, you can also increase your services, such as home delivery and things like that. Start off with your cafteria from scratch and turn it into a gastronomical empire. 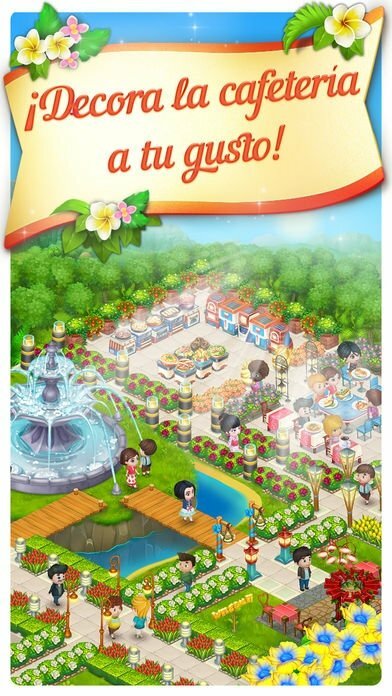 Create new recipes from all over the world. Grow and collect your ingredients for your dishes in your own organic farm. Decorate your cafeteria to your own liking and expand it with new equipment for your kitchen and diner. Meet the game's goals and reach new targets and services to be offered. Manage to cook 100 different recipes. 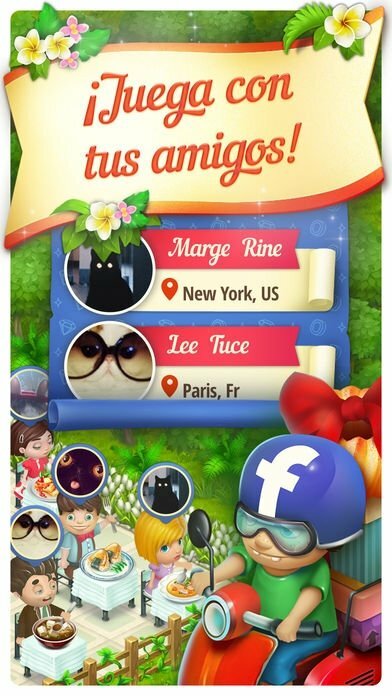 The game, as usual in these cases, is available for both Android and iPhone and comes along with social functions through Facebook. 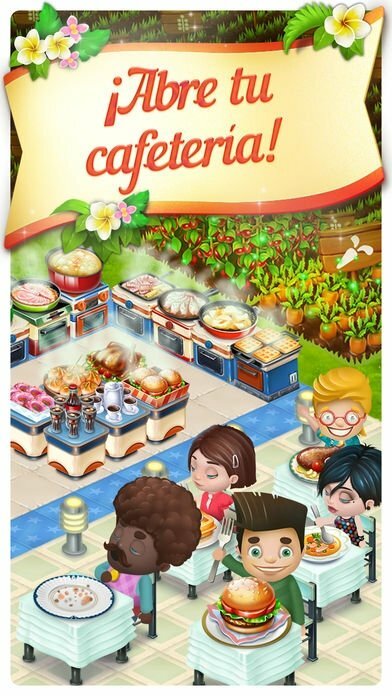 In other words, you can play with your friends, visiting their cafeterias or letting them visit yours, as well as meeting players from all over the world.